Outernet 3.0 is gearing up for launch soon, and just today they've released a blog post introducing us to the RF protocol technology behind the new service. If you weren't already aware, Outernet is a free satellite based information service that aims to be a sort of 'library in the sky'. Their aim to to have satellites constantly broadcasting down weather, news, books, radio, web pages, and files to everyone in the world. As it's satellite based this is censorship resistant, and useful for remote/marine areas without or with slow/capped internet access. Originally a few years ago they started with a 12 GHz DVB-S satellites service that gave 1GB of content a day, but that service required a large dish antenna which severely hampered user adoption. Their second attempt was with an L-band service that only needed a small patch antenna. This service used RTL-SDR dongles as the receiver, so it was very cheap to set up. Unfortunately the L-band service had a very slow data rates (less than 20MB of content a day), and leasing an L-band transmitter on a satellite proved to be far too expensive for Outernet to continue with. Both these services have now been discontinued. Outernet 3.0 aims to fix their previous issues, giving us a service that provides over 300MB of data a day, with a relatively cheap US$99 receiver that is small and easy to set up. The new receiver uses a standard Ku-Band LNB as the antenna, which is very cheaply available as they are often used for satellite TV reception. The receiver itself is a custom PCB containing a hardware (non-SDR based) receiver with a LoRa decoder. 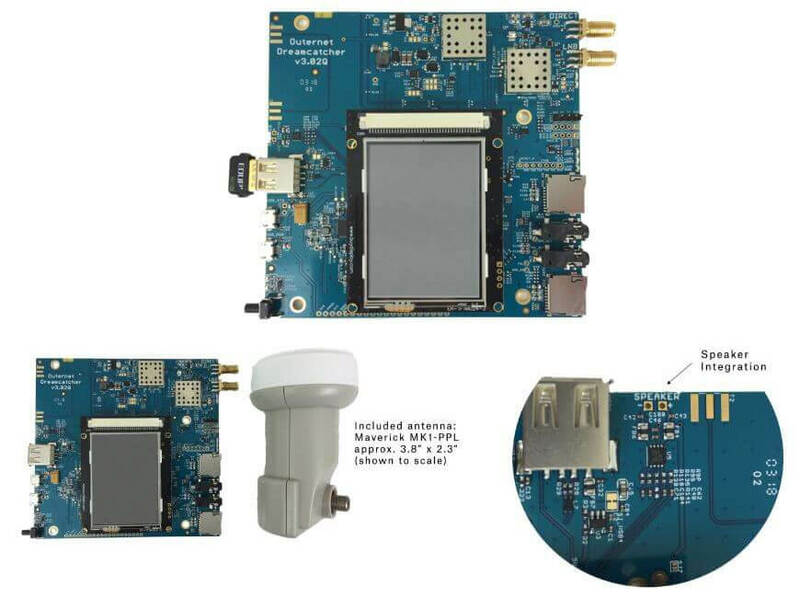 LoRa is an RF protocol that is most often associated with small Internet of Things (IoT) devices, but Outernet have chosen it as their satellite protocol for Outernet 3.0 because it is very tolerant to interference. In Outernet 3.0 the LNB is pointed directly at the satellite without any directive satellite dish, meaning that interference from other satellites can be a problem. But LoRa solves that by being tolerant to interference. 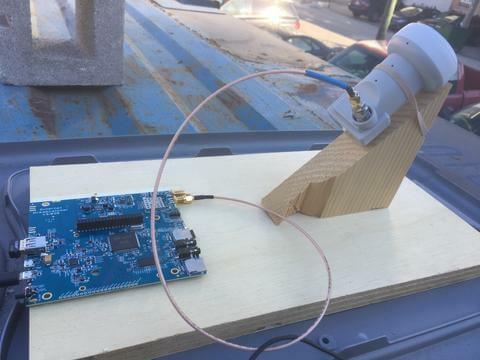 From the uplink facility to the satellite and back to their base in Chicago the LoRa signal travels 71,572 km, making it the longest LoRa signal ever transmitted. According to notes in their forums Outernet 3.0 is going to be first available only in North America. Europe should follow shortly after, and then eventually other regions too. When ready, their 'Dreamcatcher 3.0' receiver and computing hardware is expected to be released for US$99 on their store. You can sign up for their email list on that page to be notified upon release. Also as a bonus, for those interested in just LoRa, the Dreamcatcher 3.0 is also going to be able to transmit LoRa at frequencies anywhere between 1 MHz to 6 GHz, making it great for setting up long range LoRa links. This might be an interesting idea for hams to play with. The Outernet 3.0 'Dreamcatcher' Receiver. Also I think LoRa can be decoded with othwr SDRs… I believe sdrangel has a demodulator module for it. I assume other plugins exist for other software. I wonder if those will work for Outernet 3.0. They use LoRa Modulation, but they are not using LoRaWan. So you cannot get the data out of the Signal without the Software they developed.